I watched a documentary that seems to be circulating around probably because it's on the front page of Netflix. It wasn't the most beautifully shot movie, it didn't have a great score, and it wasn't highly entertaining, but it contained great facts and was very informative. 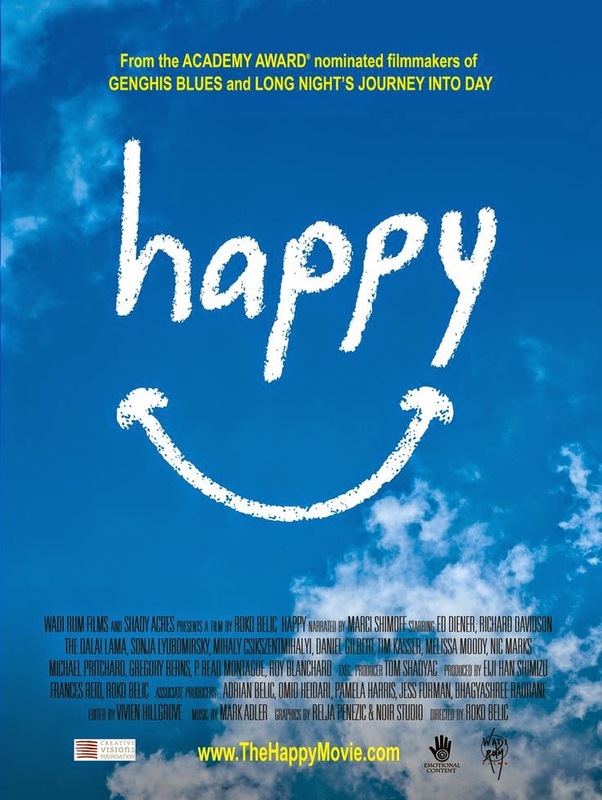 All in all, "Happy" is worth the watch! 1) 50% of our range of happiness is determined by our genetics! 40% is determined by our intentional behaviour (ex. 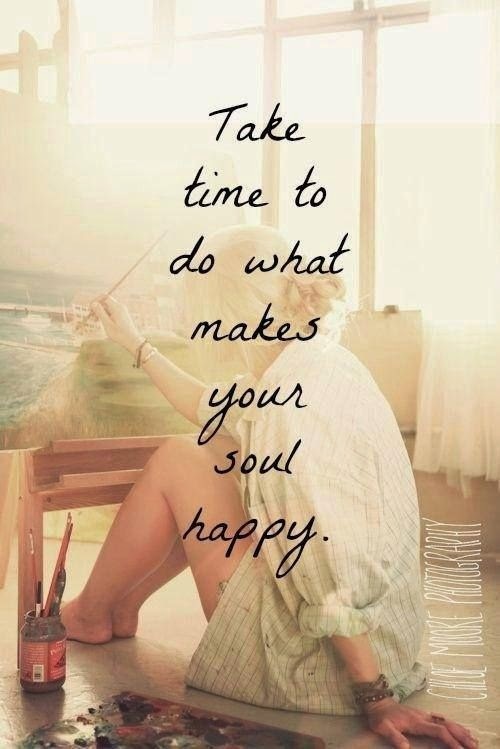 choosing to do things that will make us feel happy). * I found it interesting that we think happiness comes from the perfect job or the highest salary, yet as it turns out these things only govern a small percentage of our happiness. 2) People who mainly focus on extrinsic goals (listed below) tend to suffer more from anxiety and depression, and are less satisfied with life. People who mainly focus on intrinsic goals (listed below) are happier people who have more energy and a zeal for life. 3) My favourite point in the film was expressed by Professor of psychology, Mihaly Csikszentmihalyi. He proved that happiness can be increased by taking part in an activity that helps get you 'into the zone'. This particular activity had to be challenging, but rewarding, helping you to get out of your head and ego. He called this 'flow'. Flow can happen during personal time, when you are dancing, singing, playing an instrument, walking in nature, or hanging with friends. How do you know you've found your flow? Well, after participating in it you might have a sense that all is well, that everything will be okay, and you might even walk away feeling satisfied & fulfilled. For me and many others, I can slip into the zone when I'm practicing yoga. I can get out of my own way so that I can re-tap into the Universal flow and the intelligence of the deepest parts of my body and spirit. This documentary reaffirmed for me that yoga actually does make us happier. Even if we don't notice it in the moment (especially in times of torture and torment on the mat) the breath, the asanas, and the meditation inch us closer to contentment.